I bought this British Lioncrest Brand notebook as a single A5 notebook (or rather exercise book or workshop book) from Waterstones for £1.75. However, I have seen that they are available in a lot of independent stationery shops as a 3 pack (of 3 slightly different designs) and are available to buy online for £3.95 at dotcomgiftshop who have a whole range of Vintage Lioncrest products. I loved this notebook so much that I blasted through it as one of my monthly notebooks. 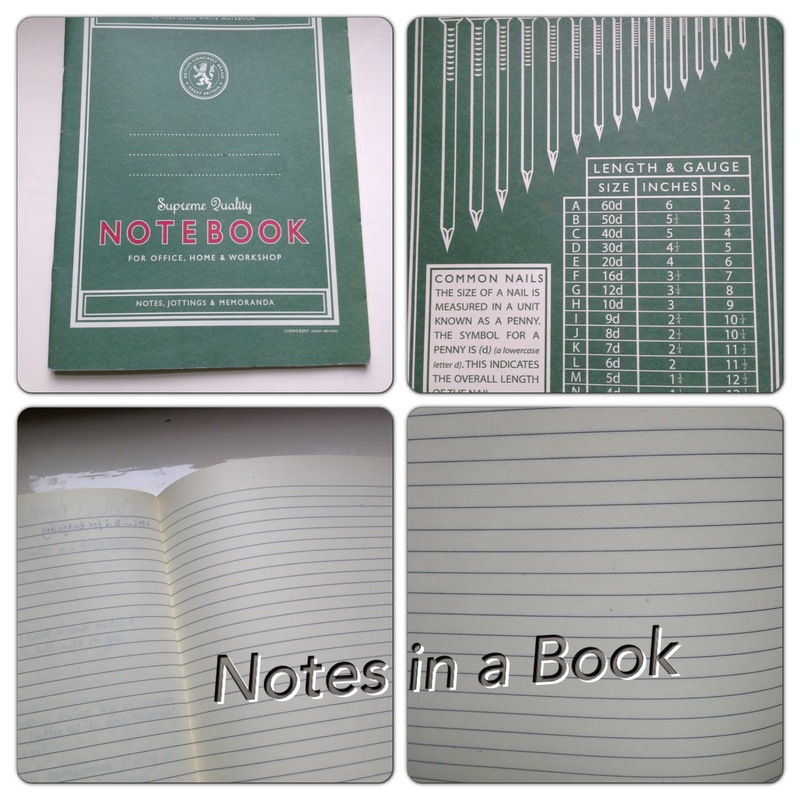 It is described as a 30 paged lined white notebook (although I felt the paper has a better quality and more cotton cream than white. One of the best quality papers I had seen for an exercise book and using my fountain pen to fill the notebook it only had a slight bled-through / feathering. Absolute bargain of a notebook if you ask me. Although it is a really simple notebook the cover is also quirky, The front is a typical exercise book for office, home and workshop. The back cover (of the green edition) has Common Wire Nail Sizes on the back. While it is not something I use often it is a handy guide for my DIY loving other half.